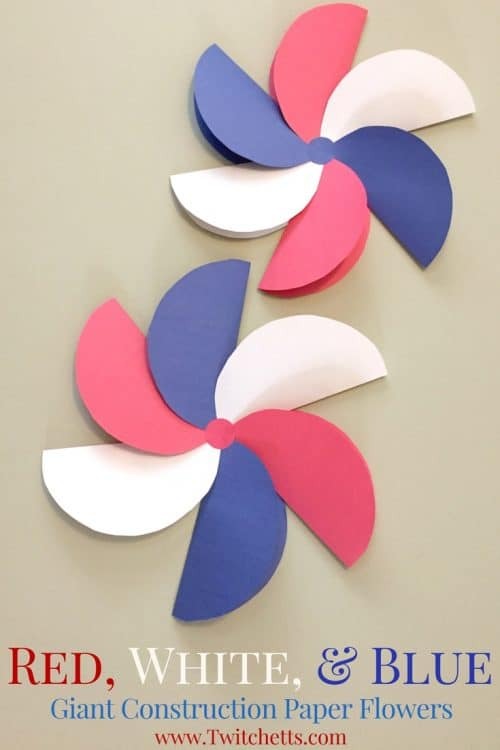 Create these amazing giant construction paper flowers in red white and blue. 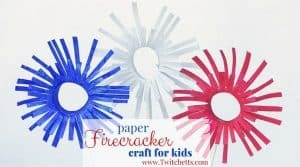 They make perfect patriotic kids craft! 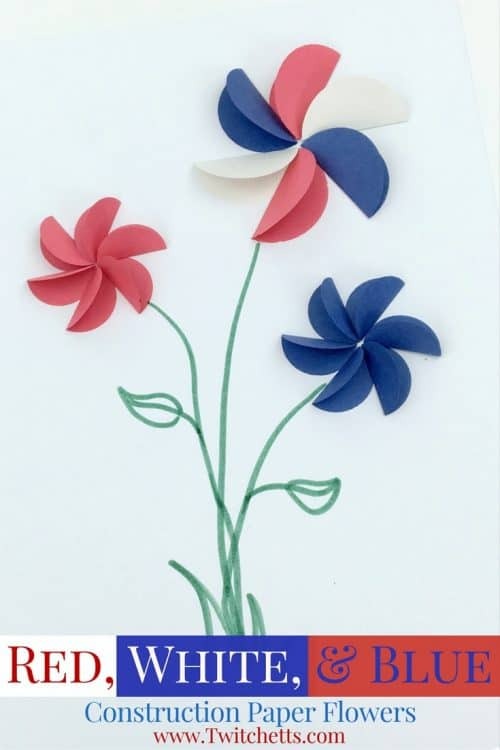 My kids have loved creating fun 3D flowers… Ever since we made rainbow flowers we have done them every possible way you can imagine… except Giant! Until now. Construction Paper. 2 sheets each of Red, Blue, & White. Something Circular to Trace. A plate works well. 1.5″ Circle Punch. Or something smaller to trace and cut out. 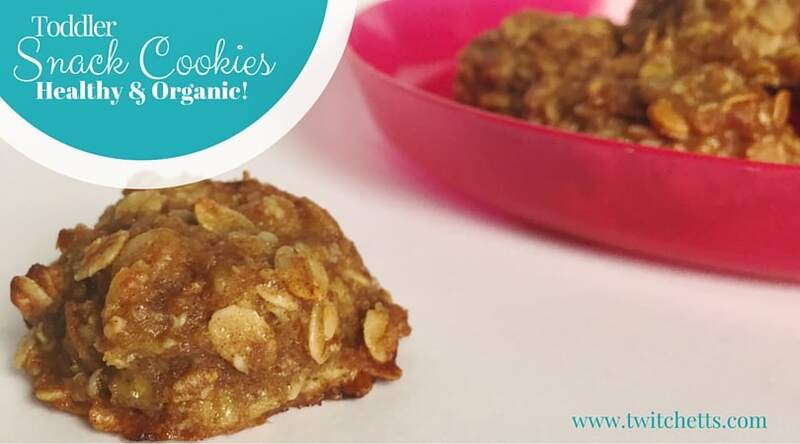 These are really quite easy to make. We made ours using colors for the 4th of July, but you can make these any way you like! 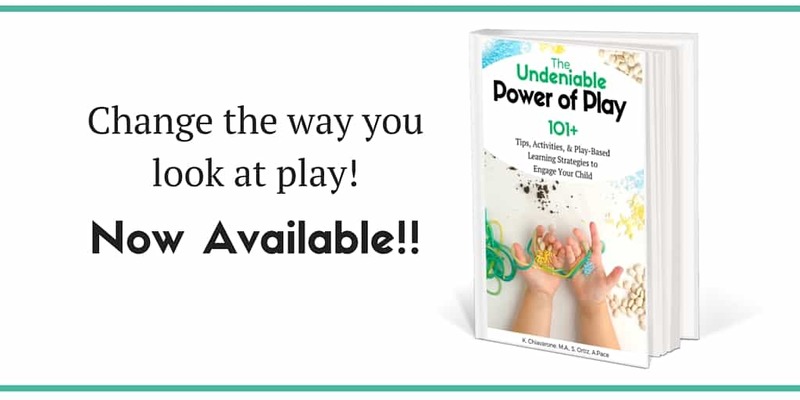 Watch this quick 2-minute video to see just how easy they are to create! Start by tracing something to create six large circles. I used a plate. Then cut out the circles and fold each one in half like a taco shell. 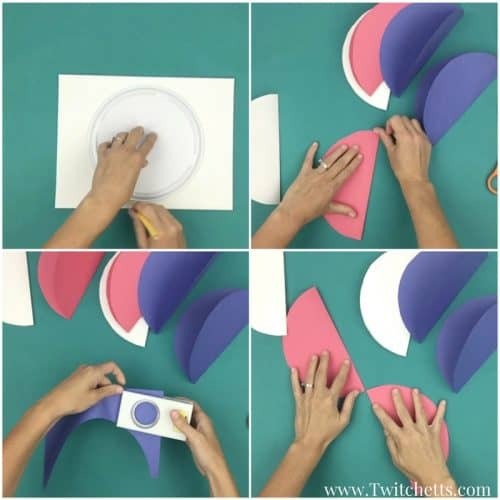 Use the 1.5-inch circle punch to create a center circle. Line up 2 of the same color pedals across from each other. Next, start adding in your other pedals. Try to space them as evenly as you can. Glue down your center circle, this will help hold them in place to glue the back side. 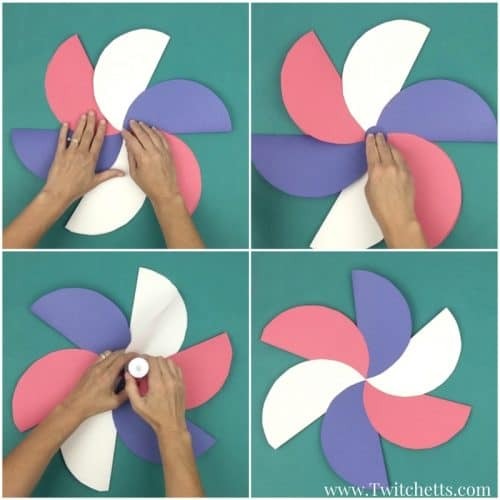 Flip over your construction paper flower and lift up the back petals and glue them to each other. Once you have worked your way around the whole flower you’re done! 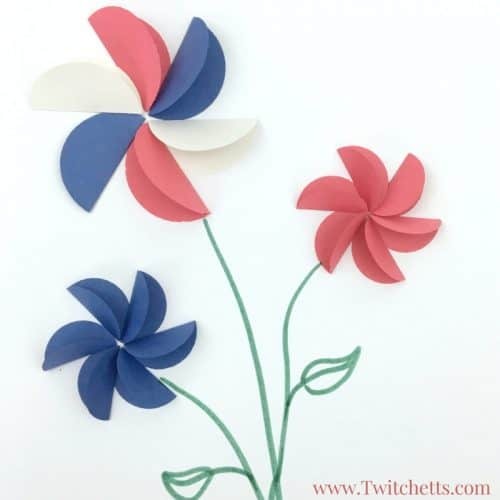 Whether you are decorating for the 4th of July or you want some beautiful flowers for spring decorations these are sure to be a winner. 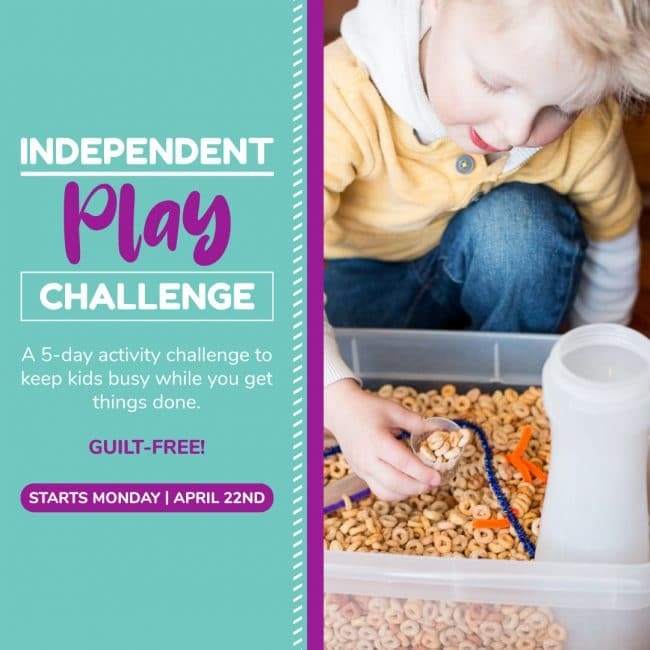 Even younger children can help with a lot of the prep and construction of these! You can also make these flowers small. 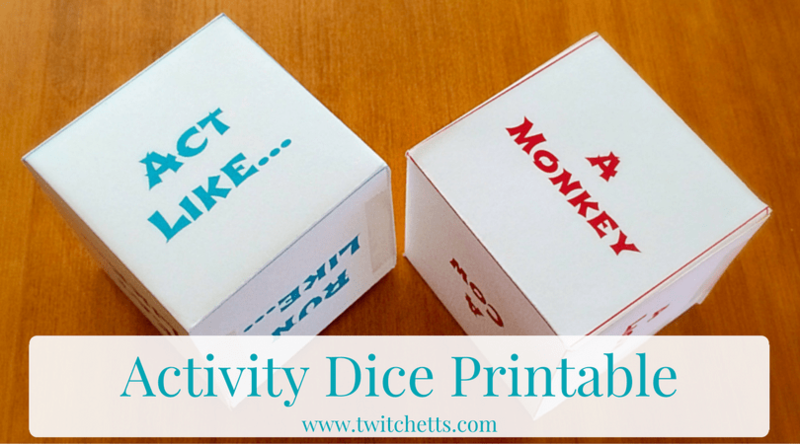 Perfect for an afternoon craft or a card. These are the patriotic flowers V and I created. 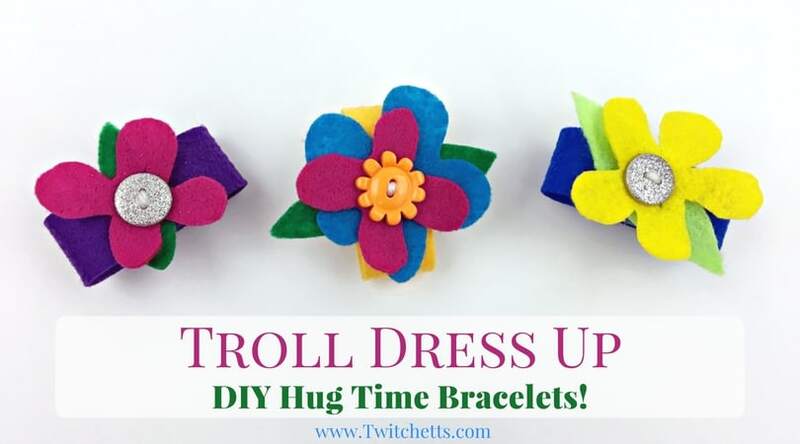 For step by step instruction on these just head here to our rainbow flowers post! You can Pin these Independence Day Crafts Too!